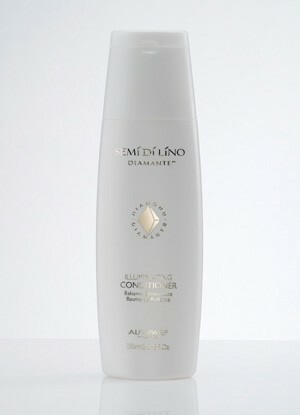 Product information "Alfaparf Semi di lino Diamante Illuminating Conditioner"
Microcrystalline Conditioner is designed to maximize the shine and beauty of your hair without weighing it down. This unique formula delivers daily nourishment while increasing hair strength. Hair feels naturally soft; manageable and easy to style. Apply the Conditioner to wet hair and massage in. Comb through and rinse thoroughly. Related links to "Alfaparf Semi di lino Diamante Illuminating Conditioner"
Customer evaluation for "Alfaparf Semi di lino Diamante Illuminating Conditioner"